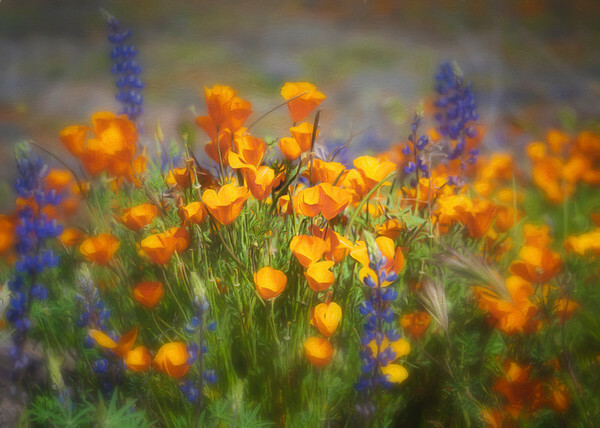 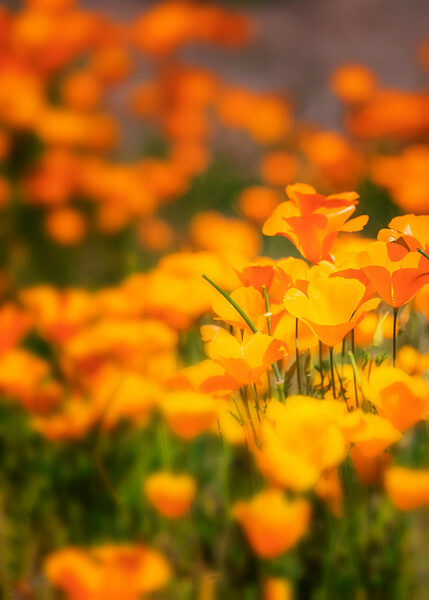 These spring poppies glow in the Arizona sun on the San Carlos Apache reservation. 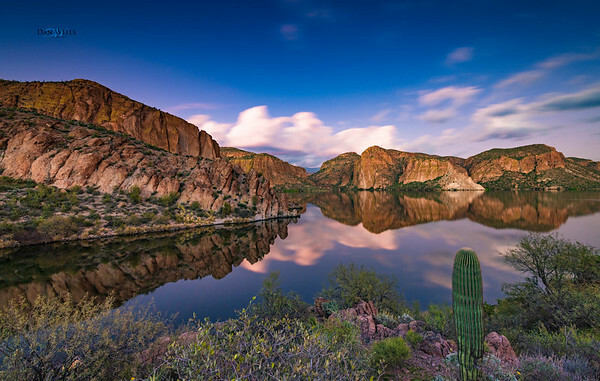 The calm waters reflect sunset views at Canyon Lake near the Superstition Mountains of Arizona. 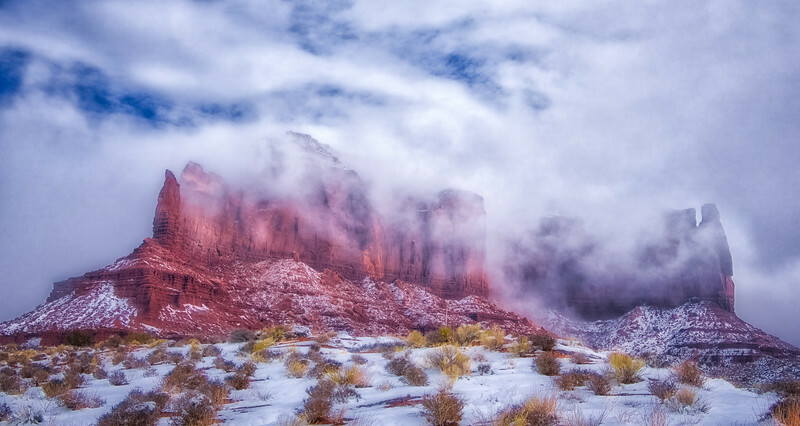 The red rock cliffs in Monument Valley, near Kayenta, Arizona were shrouded in clouds much of the day. 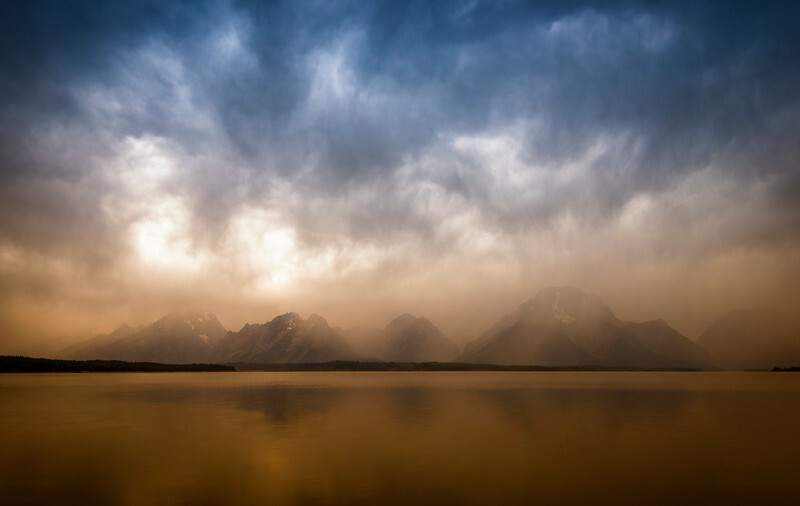 The clouds parted momentarily as if to allow the red bluff to pose for a longing photographer. 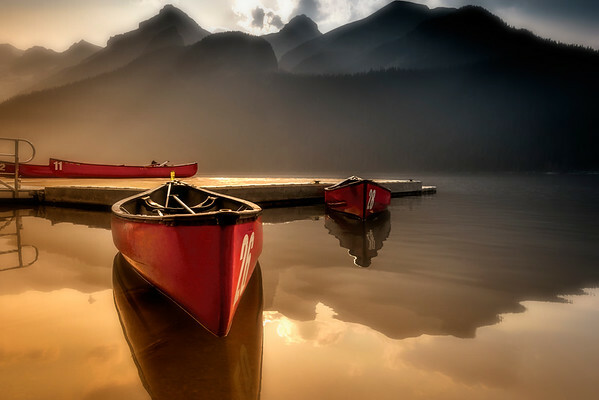 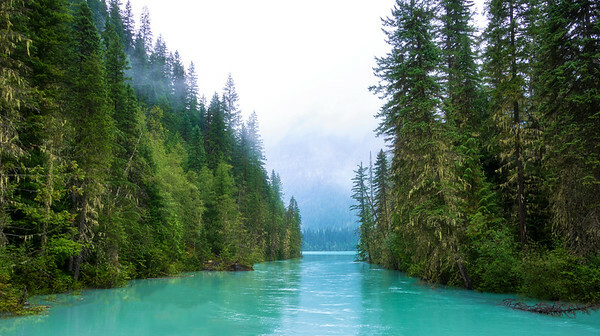 Canoes docked on Lake Louise, Alberta, Canada with a smokey air and sunset backdrop. 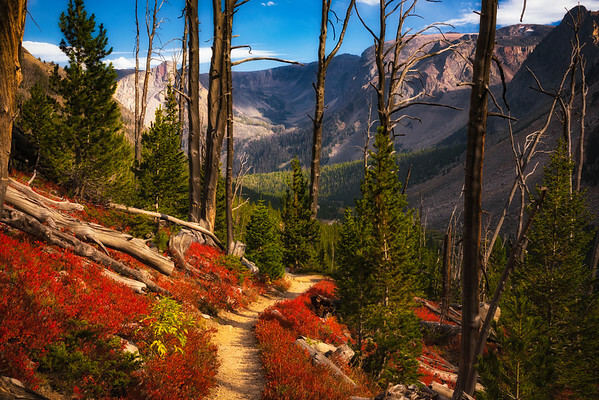 Gorgeous autumn, red leaves line this trail to Glacier Lake near Red Lodge, Montana. 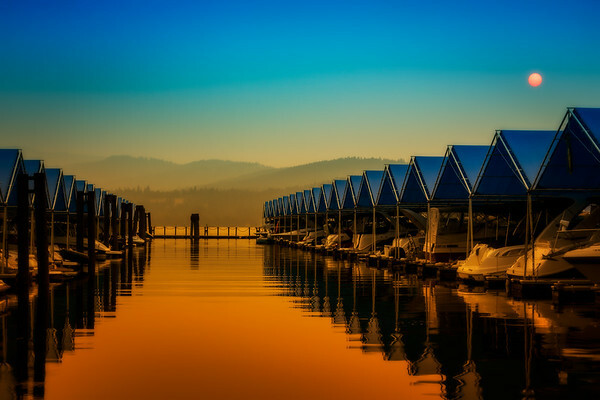 The smoke filled skies produced a copper hue to the sun and water at the Couer d'Alene Marina. 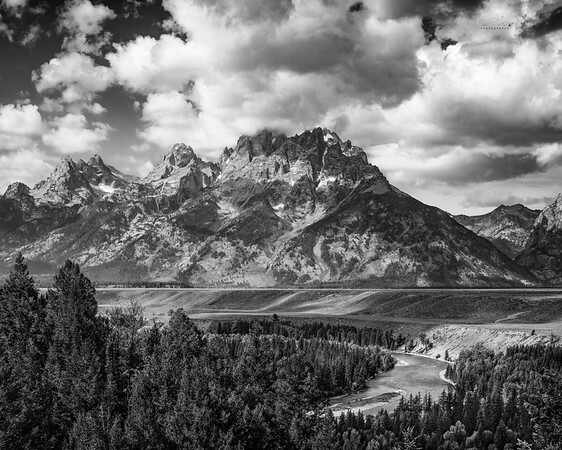 The Grand Tetons tower above the winding Snake River near Jackson, Wyoming. 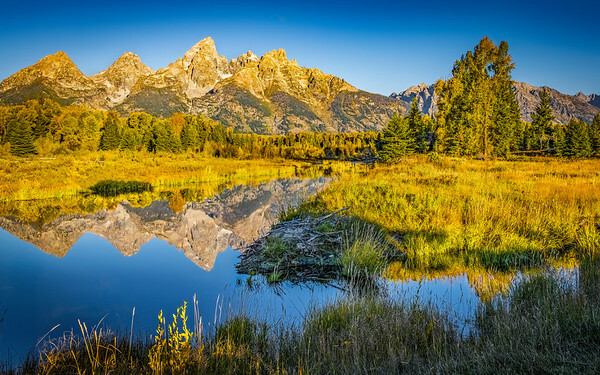 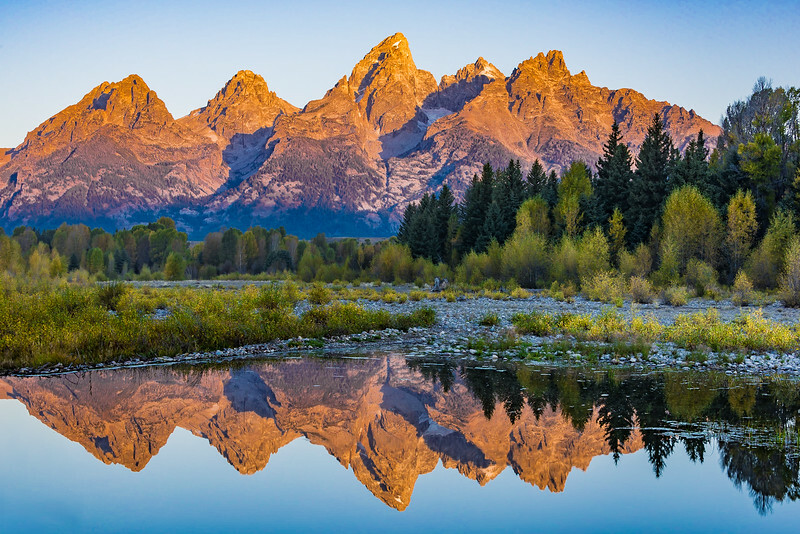 The Grand Tetons glow orange and purple during an autumn sunrise. 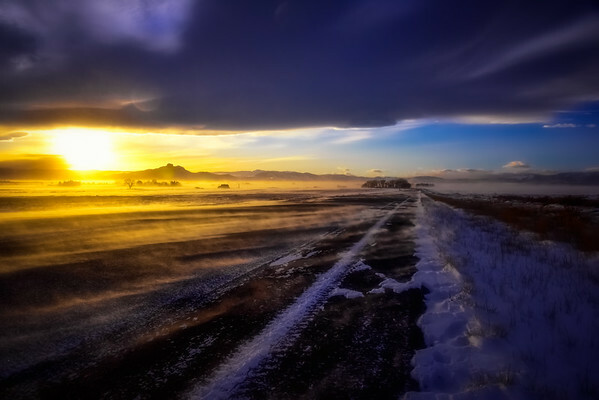 The ground blizzard near Powell, Wyoming made driving conditions extremely hazardous with reduced visibility. 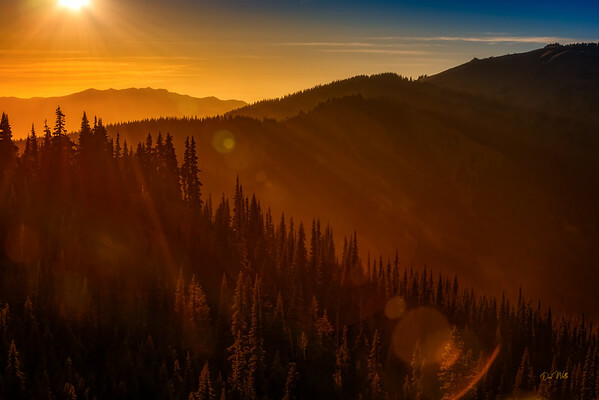 The late afternoon sun casts shadows of the mountain ridge lines in the Olympic National Park, Washington.